MWE3.com: I know there's a cover on this new album of a song from the first Ragnarök album too. PN: You mean Farvel? One of my first songs ever. A friend lends me a sitar when I was 20 years of age. I played on that instrument day and night. But he wanted his Indian instrument back. A few months later I bought a Spanish guitar and started to play on that guitar as if it was a sitar and composed Farvel Köbenhavn. The melody is played on one string, the D-string starting on the fourteenth fret. Since that time Ive always felt like I had sitar approach in my hands. All musicians play different moods. I think I am a kind of raga musician. 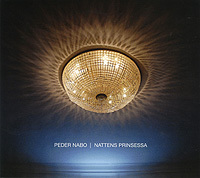 Following songs on my CD are, if you like, raga oriented: Nattens Prinsessa, Fjård, Reesa and Maj Sevan. Electric Raga could have been the title of the album. MWE3.COM How would you describe what you set out to achieve musically and sound wise on the Nattens Prinsessa CD? PN: It took me a while to decide to make a record and a while to find the right musicians to play along with me. But at that time when I found Kristoffer (drums) and Niklas (8 string guitar), I already knew the direction. Three part melodies Ive experimented, with stacked thirds (Flight 371 To Hanoi), stacked fourths (Reesa) and stacked fifths (Längtans Hav). I used expressions like dark, slow, or melancholy twang to describe what I was looking for. I was tired of distorted sounds from electric guitars and decided to have one more limitation in the process: Only sounds from vibrating metal, like steel stringed guitars, Rhodes piano, violins, accordion, etc. On a daily basis I work as theater musician and composer so I dont conduct, I direct. When we recorded Melliano, I told my drummer play like a locomotive, a locomotive made of paper. (laugher) And he did so. MWE3.com: Are you happy with the results of the Nattens Prinsessa CD? PN: I have worked for a long time with the album as a side project supported by two music institutions that let me use their musicians when they had days off. I wanted to make all decisions by myself. One day there were no more decisions to make and the record was ready to print. MWE3.com: And what's been the reaction to the album in Sweden and among fans of your work in Ragnarök? PN: I dont know yet. Some have told me that they like it. Especially artists and folks in the music business say they like it. Thats amazing. MWE3.com: How would you compare the sound and vision on the Nattens Prinsessa CD with your current work in the reformed Ragnarök? 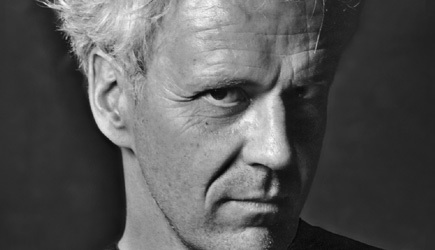 PN: I have played in Ragnarök since 1973. It is always very chaotic when we get together. We recorded Path during a weekend, traveling back and forth included. We rehearsed and recorded at the same time. Deleted recorded material until we were satisfied and kept the last version. Then over to the next song. I remember that I had to relax in the studio playing on a vintage Wurlitzer electric piano while the others had dinner and party upstairs. MWE3.com: Can you tell us some information about where and when your new solo album was recorded as well as something about the musicians you played with on the Nattens Prinsessa CD? PN: I got the idea for this album, when realizing that I actually enjoyed playing electric guitar again. I hadnt owned an electric guitar since the 70s so it took me about seven years and seven guitars to explore that world of sound and to transpose my songs for that instrument. It was only after I met Niklas Höglind and Kristoffer Johansson (ex-Jazzunit) and started to collaborate with them that the music got the feedback I felt it was in need of. I allowed my guitars to twang while Niklas, who is a master of generating unexpected sounds from his eight-string guitar, used a vast amount of pedals. As a fourth member in the process, violinist Géza Polony became involved. He started his career in the opera house in Budapest. We started recording the group in Spring 2009 in a barn on the countryside, half an hour north of Kalmar. Some songs were recorded at my home studio and some at the theater studio at my job. MWE3.com: Were you still making music during the years after you left Ragnarök in the late '70s, before you rejoined them for the Path album and how did you decide to rejoin Ragnarök again? PN: I left Ragnarök 1979 and started art school in photography. I was even a student at San Francisco Art Institute for a while. But found my way back to composing for theater, performance and modern dance. In 2002 I invited the original lineup of the group to a dance performance to show them my work. Eight months later we had a successful reunion, in August 2003. MWE3.com: Is there a story about the Ragnarök Path album and what did you think of how the Path album turned out? What is the current status of Ragnarök and is there a plan for a follow up studio album or live album to the Path album? PN: The most fantastic with Path is that it is sponsored by rich businessman called Alexis Lope Bello from Venezuela, that operated from Switzerland at that time. We never met him. He was very rich and then there was this financial crisis one month after the CD-release. Then he disappeared from Europe. We havent heard from him since then but we are grateful to him. MWE3.com: Are you playing more guitars than keyboards these days and can you tell us something about your guitars and keyboards featured on both the Path album and the Nattens Prinsessa CD? PN: I do always have my custom-homemade Tele on my knee while watching TV. Its built on a neck from 71 and has hand wound pickups. One fretless tele and a Gibson ES 175. Recently my interest for vintage keyboards has increased again. My Rhodes piano from 1976 stands beside two Wurlitzers, a Clavinet D6, a pianet, and some combo organs including a UK Vox Continental . MWE3.com: I admired your work on the first two Ragnarök albums. Will the Fjärlar I Magen album ever be officially reissued on CD? PN: You are not the only one asking. Silence is on low jets. I think Path is their last release. I look forward to seeing a Ragnarök box set!